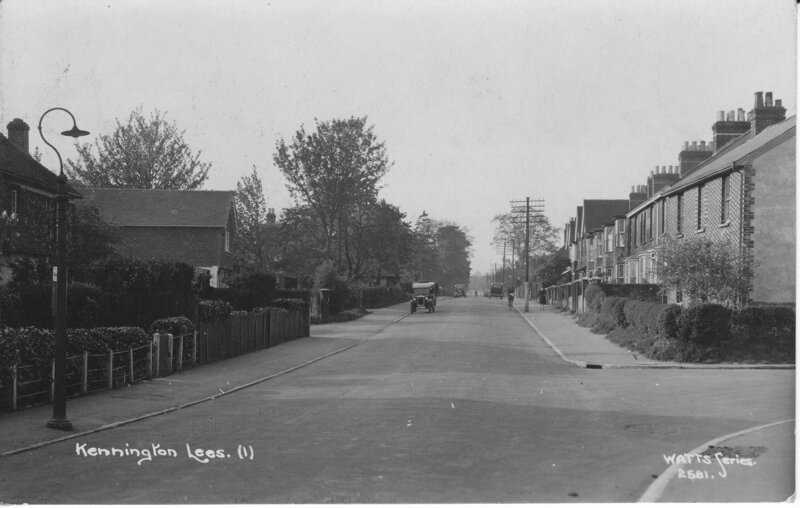 A quality image showing the junction of Faversham Road and Church Road. This is a good image to zoom in on. You can see the building to the left which for very many years now has been a Chinese Takeaway. To the left of that you can just make out the adjoining building with the Co-Operative sign. This was the site of the Kennington Co-Op for many years until it re-sited to it's present position on the site of the old 'Colt' public house.